Granada, the city south of Spain, is known to the world through Washington Irving’s “Tales of the Alhambra”. The American writer told the story of a Moorish king who sent his prince off to study art and science, but the prince soon fell in love with a Christian princess. However, the prince had to return to Granada due to religious conflict and to keep the promise he made with the Christian king that the princess shall remain a Christian. The story has become a symbol of young love against impossibility. Besides romance, Granada is also the last stronghold of the Moors before they were conquered by the Christians, leaving only Moorish arts and architecture for us to see today. Alhambra Palace is the must-see highlight of Granada, or even of Spain! It is wise to buy a ticket in advance because the number of visitors per day is limited and there will certainly be a long line of visitors waiting to buy a ticket. 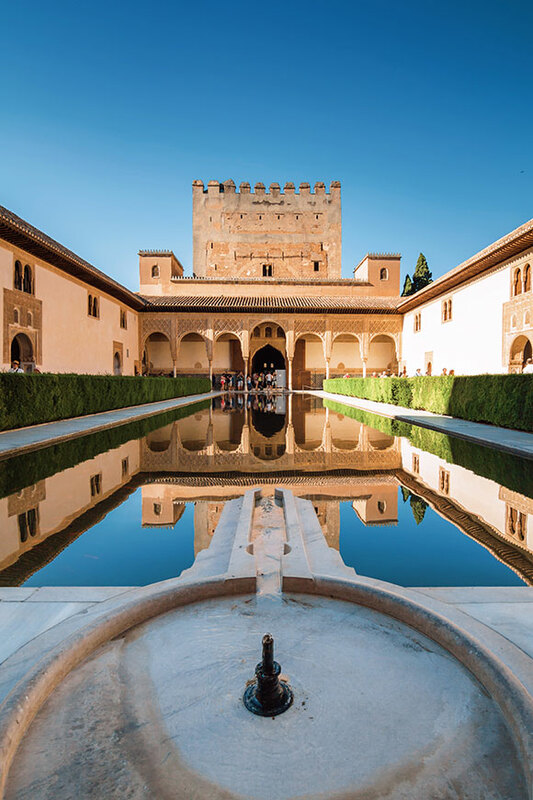 Alhambra Palace is divided into 3 zones – Alcazaba, Palacios Nazaríes, and Generalife – each with distinctive architectural design and décor on the walls, pillars, ceilings, and arches, reflecting the finest form of Moorish arts. – Alcazaba, or the fortress, is the first zone you’ll enter and one of the oldest parts of Alhambra. This is where you’ll see the famous Palace of Charles and its unordinary design. The palace was built by Charles V, a Holy Roman Emperor, as a residence, and although the exterior has a square shape, the interior is marvelously round. The clever design is the work of Pedro Machuca and arguably the first classic Renaissance architecture in Spain. – Palacios Nazaríes sits at the back of the complex and further divided into the outer and inner areas. The outer area was mainly used for meetings while the inner area was private spaces for the sultan and the concubines. Comares palace acts as the entrance of the sultan’s private residence and it welcomes all visitors with an impressive courtyard named Courtyard of the Myrles which highlights a large pool reflecting the heavenly sky. Deeper into the palace is the Court of the Lion and Hall of two sisters, some of the most photographed attractions in Spain. The open courtyard is known for the fountain with 12 marble lions while the connecting Hall of two sisters is marvelously decorated in marble and detailed plasterworks. – Take a break from fine art and return to the beauty of nature at the Courtyard of water channel in Generalife. The courtyard boasts beautiful pools and fountains surrounded by peaceful and romantic garden. The buildings in Generalife may look simple and unrefined compared to other parts of Alhambra, but this simplicity and peacefulness humbly create a relaxing atmosphere for the sultans when they wanted to get away from the official affairs of the palace. 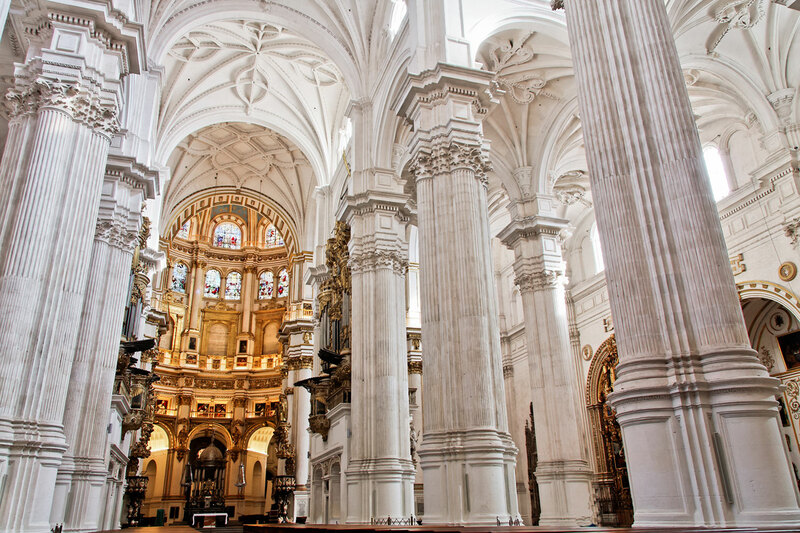 Chosen by Catholic Monarch as their burial ground, The Royal Chapel of Granada is evidence of their love for Granada. The chapel is where kings and queens peacefully spent their eternity together. The design is an amazing example of influence of gothic architecture and the intricate detail of the interior will make you hold your breath the moment you enter. The grandeur atmosphere is surprisingly quiet despite the large number of visitors. The marble tomb of kings and queens tell stories of their reign, struggles, and their greatness, which will forever be told throughout our history. What’s better way to learn about a city than a slow stroll. 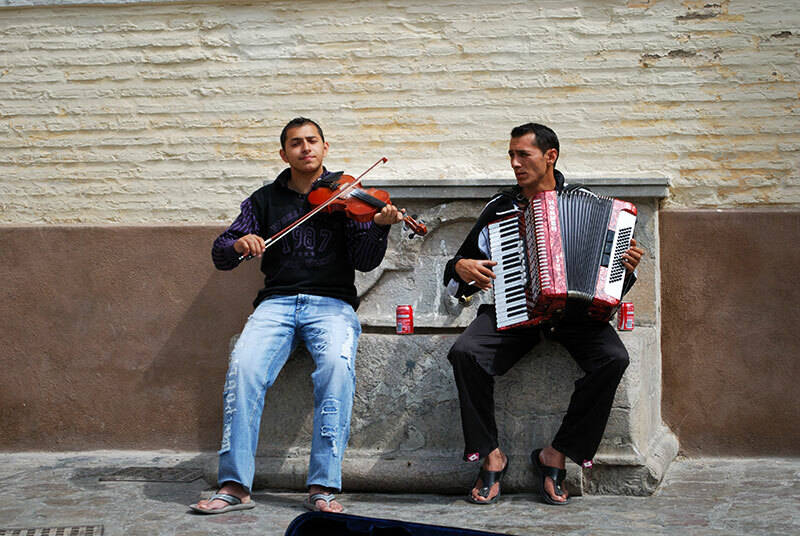 Get to know the streets of Granada and its people on the beautiful walkway in the shadow of the Alhambra. Stroll through Paseo de los Tristes which was one of the busiest areas in Granada where festivals and feasts took place. The fountain in the historic square was built in 1609 and has been the meeting spots ever since it was built. Take a walk along Carrera del Darro, the historic cobble-stoned street which over hangs the river and one of the most beautiful places in Granada, next to the River Darro and crossed by two stone bridges. This area is home to many fine bars and cafés, and it’s a great idea to stop by for some wine, beer, and tapas. Witness Granada’s spectacular Flamenco show at Zambra Maria la Canastera, the home of the most famous flamenco dancer in town. The native dance was passed on through generations since the house was built over 50 years ago while the house is kept in its original state with white walls and hanging copper pots crowding the ceiling. Immerse in the colourful and arousing performance as talented and charming dancers move fluidly just inches away from you. Note: The dance show takes around 45 minutes. Sierra Nevada is the second highest mountain range in Europe after the Alps. 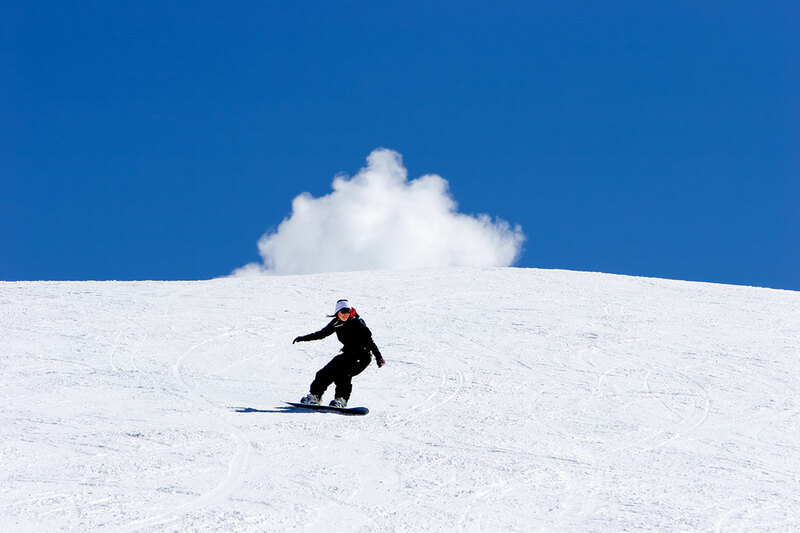 With this altitude, Sierra Nevada makes an outstanding destination for winter sports, especially skiing, in southern Europe which is known for warm temperature and sunshine. Small white villages dotted the mountain range, welcoming visitors to explore the narrow winding streets and take photos of the stunning surroundings. 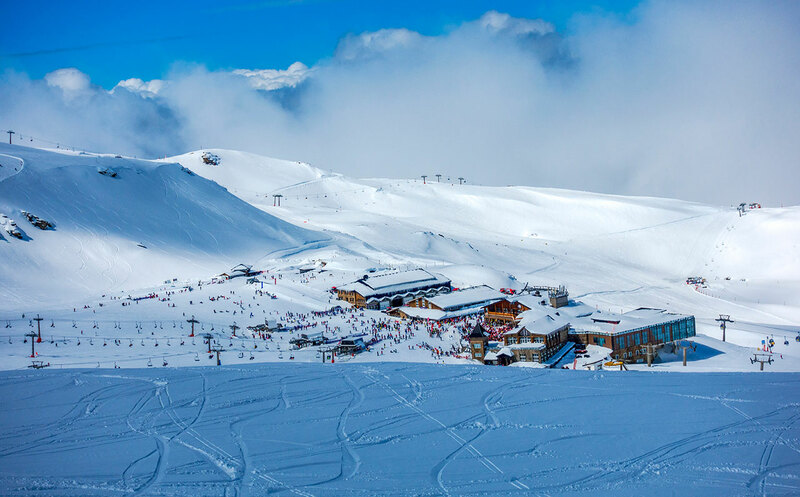 The skiing season can last from late November until early May, and you may experience sunny days of skiing, particularly towards the end of the season. 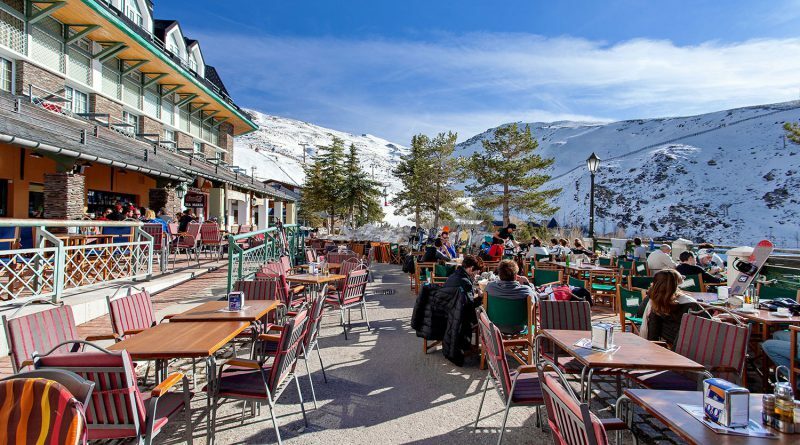 Sierra Nevada is approximately 21 km from Granada, and it can be easily reached by car, via the highest road in Europe. The trip to the mountains usually takes between 30 and 40 minutes in low traffic condition. Tapas are small bites of flavourful appetizer found everywhere in Spain, but one of the best places to experience this culinary tradition is in Granada. Granada’s tapas tradition is a vital part of the local culture, and if you happen to be taking a break at a bar, the chance is you’ll be served tapas as a gift to patrons.